Join former Ambassador and Consul General of France in Boston Alain Briottet for a talk on his latest book. 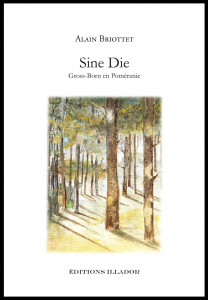 Sine Die recalls his father's life as a prisoner during World War II. Following the lecture, there will be a book signing and champagne reception. This event will be held in both French and English. After the defeat of the French army in 1940, more than two million soldiers were made prisoners by the enemy for almost five years. In addition to cold and hunger, the worst torment for officers was boredom, as - unlike soldiers - they were not allowed to work. By recalling the story of the author’s father made prisoner, Sine Die portrays the life of these captured men, their hopes and their absence. It also depicts their loneliness during and after the war, as the society made them bear the responsibility for the defeat. Briottet only got to know his father at the age of seven when he was released, but the silence around the period of the war made their relationship fragile. His entire life, the author tried to imagine and re-live the captivity of his father in order to honor his memories and those of his father's comrades. The book is a perfect blend between an autobiography and a historical narrative whose aim is to defend the memory of these forgotten men of the Second World War’s history. Alain Briottet graduated from Sciences Po Paris in Political Sciences, before devoting his career to French diplomacy. He worked first in several positions at the French Ministry of Foreign Affairs. Afterwards he held various diplomatic posts across the world. 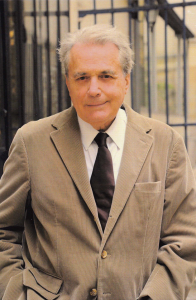 His first book, Boston, un hiver si court (2007, Editions du Rocher) was a collection of short stories inspired by his time in Boston, where he served as French General Consul from 1985 to 1990. Later on in his diplomatic career, he was nominated Ambassador of France in Finland, Burma and Bangladesh. In addition to his career, he was General Secretary of the Georges Pompidou Institute during several years, whose mission is to honor the memory of the former French President, as well as fostering research studies about him. Alain Briottet was deeply thanked by the French government for his service: he became Officer of the Legion of Honor in 2006, and Commander in 2011.